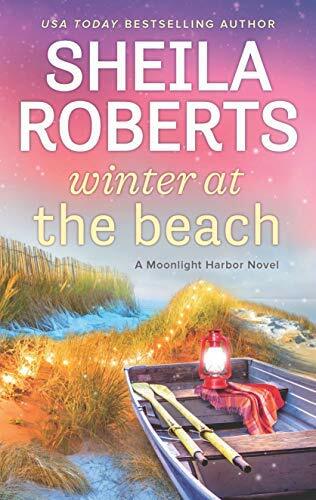 Christmas is approaching in Sheila Roberts’ Winter at the Beach, making it a perfect read for the season, with its enticing blend of sand and sea with winter snow. If you haven’t always wondered what happens at the seaside when the season’s done, you’ll still be delighted to learn. Though whether you’ll want to visit Santa on a snowy beach may still be in doubt. Characters from this and other series’ weave naturally into this tale, and their very human concerns blend smoothly with the community spirit of a Christmas vacation. Life is not perfect here, or in any of the families involved. But life is never perfectly broken either, and the author, through her characters, offers haunting touches of wisdom, the gentle persuasion of situation and need, and the promise of true love. Not quite romance, not quite adventure, not quite road-trip, Winter at the Beach weaves several stories into one warm tapestry, the perfect reading blanket for a cold winter’s day. It leaves me wanting to read more, but perfectly satisfied with a conclusion well reached. Like a vacation at a good seaside B&B, it introduces me to strangers, lets me share their lives, and promises all will be okay, even if all might never quite be well. Heartwarming, honestly soul-searching, and vividly real. Disclosure: I was given a copy and I offer my honest review. It turns out that Susan knows a lot. A big storm hits during the weekend of the festival, wreaking havoc with the parade and producing power outages all over town. Including at the Driftwood Inn. Jenna finds herself with a motel filled with people, all with no power. What to do? Enlist the help of friends, of course. Her friends take in many of the stranded visitors, and Jenna and her Aunt Edie take in the others, stuffing them into Aunt Edie’s house next door to the Driftwood. All the guests come with their own unique stories. The last thing Taylor Marsh wanted was a getaway with her husband. His refusal to give up on his dying business is taking them down financially and killing their marriage. But her sister Sarah (she who has her financial act together and never lets her sister forget it) insists this will be fun for both their families. It will only be fun for Taylor if her husband gets eaten by a giant squid. Then there’s Darrel Wilson, who planned the perfect anniversary getaway for his wife, who’s been undergoing chemo. So much for the perfect anniversary. And the sisters, Lisa and Karen, who can’t seem to go on a sister outing without it turning into a Lucy and Ethel adventure. Unlikely roommates, all of them. But perhaps each one has a valuable lesson to share with the others. And perhaps, what looked like a disaster will prove to be the best holiday adventure of all. Oh, boy. She could hardly wait to see what Susan would have to say about this. Susan clamped her thin lips together and gave Jenna a look that dared her, the newbie, to come up with something. What was with this woman anyway? The town had done a good deed by putting on a festival to help Jenna raise money to restore the Driftwood after she experienced a financial setback. It had been such a success that the chamber had decided to make the Blue Moon Festival a tradition, with proceeds going to help other businesses in town in need of assistance. Jenna had benefited and other local businesses would as well, and Susan resented it? She was a crab in the pot. If she couldn’t succeed, she didn’t want anyone else to, either. And everyone knew her shop wasn’t doing that well, especially now that Courtney was selling her own designs over at the Oyster Inn. Well, pooh on her. Jenna handed papers to both Tyrella and Brody to start passing around the table. “I could get some of my employees to dress up as mermaids,” said Kiki, “and stick ’em on a flatbed truck strung with fake seaweed.” She grinned, clearly taken with her idea. “Well, I think it’s a bad idea,” Susan said, scowling across the table at Jenna. “I think it sounds great,” said Elizabeth MacDowell. She and her twin sister, K.J., were new members of the chamber. They’d opened their arts and crafts store, Crafty Just Cuz, in September, and it was already one of Jenna’s favorite places to hang out. “We do need more business in the winter,” said Cindy Redmond. “There’s no getting around it. And doing something for the holidays could be fun. I say we give it a try,” she added, and Jenna’s eye stopped twitching. “Me?” she squeaked. Not that she couldn’t take charge. She was a firstborn, and Responsibility was her middle name. (Although her sister, Celeste, would probably argue that her middle name was Bossy.) She didn’t have a problem with rolling up her sleeves and getting to work, but she also didn’t want to offend old- timers like Susan Frank. “I’m sure someone else...” she began. Jenna raised her chin. “I can do it.” She’d survived rehabbing the Driftwood Inn. How much harder could it be to organize a festival? “Do I have a motion that we sponsor a Seaside with Santa Festival for the weekend before Christmas?” Brody asked. “I’ll second,” Nora said and reached across the back of Tyrella’s chair to give Jenna’s shoulder an encouraging pat. “Nay,” Susan Frank said. “I’m telling you all, this is a bad idea. Make sure you put that in the minutes,” she told Cindy. “Holiday disaster,” Susan grumbled from her side of the table. 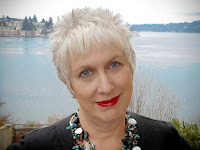 USA Today best-selling author Sheila Roberts has seen over fifty books, both fiction and non-fiction in print. Her novels have appeared in many different languages and been made into movies for both the Lifetime and Hallmark Channels. 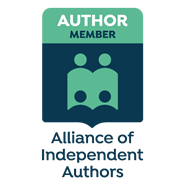 She writes about things near and dear to women’s hearts – love, friendship, family and chocolate. Her latest book is the women’s fiction, Winter at the Beach.